Are you someone who started doing SEO for your website a few months ago? You might have enormous expectations for your website, you even dreamt of getting thousands of organic visitors per day. You invested a lot of time and money in this. But you are not getting results as you expected? Do you think you can’t do this anymore? Are you confused? or Are you stuck at this point? Probably every SEO has been there in this situation. But they were able to learn from their mistakes, and they understood what the problems were. If you can rectify these mistakes, you would be able to rank your website and generate conversions. 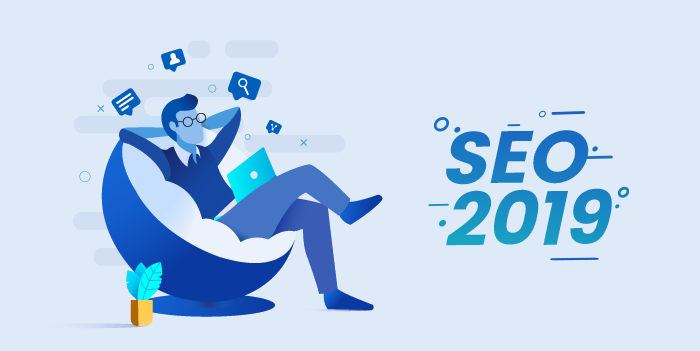 Here are the 10 things you shall consider while learning SEO in 2019. Just like learning any other skill, it is essential to get the basics right while doing SEO. If you get the basics wrong, then you won’t be able to gain considerable results, and you may end up getting frustrated. Optimizing Title Tag and Meta description are the basic, yet significant things you should give priority. Your title tags and meta descriptions should be appealing for the person who is performing the search. These are the first things a searcher see of your site, because of that, it is necessary to give them a good impression. On-page lays a foundation for your website. If didn’t do it correctly, you won’t be able to rank your site properly regardless of how well you do off-page SEO for your website. Internal linking and the anchor ratio are the things people ignore so often. You need to link contextually between the pages. You can also create supporting pages for the main page you are trying to rank and contextually link to your target page from the supporting pages. While building links for your website you should always maintain a good anchor text ratio. You should use the different types of anchor text while building backlinks for your site. Let’s say need to rank for “Best gaming mouse,” if you use the exact match anchor text while building links, your website will get penalized sooner or later. It is essential to make your anchor text ratio look natural. When most of the people begin learning SEO, they will start reading blog posts and watching videos. People get overwhelmed because they are bombarded with knowledge. They desperately want to rank their website on the top of Google. But the learning doesn’t guarantee results for you. If you learn too much without trying, then it leads to procrastination. You should give a try, instead of perfecting things. Because of that, it is necessary to implement the things you learn on your website. Actions speak louder than words, learning SEO without implementing is worthless. So If you don’t have a website, you shall purchase a domain and hosting and start implementing things. There is no point in learning about the advanced SEO strategies when you don’t even have a website. Most of the beginners will learn the things in the best possible way, and they won’t implement even the basic stuff. The best-laid plans go astray! Best way to become an expert is by implementing it and learning from mistakes we make. It would be great to rank your website No.1 for a term like “laptop” that has over 2 million global monthly search volume per month. But the sad thing is you won’t be able to rank for a term like that easily. Page 1 for such keywords would be dominated by authority websites like Wikipedia, Amazon, etc. If you don’t have enough budget and time, don’t go against big brands, especially when you are new to the game. You should perform keyword research and target medium to low competitive keywords for your website. You can use Ahrefs or free tools like Ubersuggest, Keywords everywhere for doing the keyword research. Let’s say you are running a shop that sells Laptop in Detroit, if you rank for a term like “laptop” globally, the traffic you get will hardly generate any sales for your shop. On the other hand, if you can rank a keyword with buyer intent like “Best laptop shops in Detroit” that would lead to conversions and you won’t require even 1% of effort to rank this keyword compared to ranking a highly competitive keyword like “laptop”. So many people choose the wrong keywords for their website, either the keyword would be highly competitive, or there won’t be any search volume for the keyword. If no one is searching for your keyword that you are ranking, how are you supposed to receive traffic? Simple logic! While selecting a keyword, you should consider these factors for generating traffic and conversions. 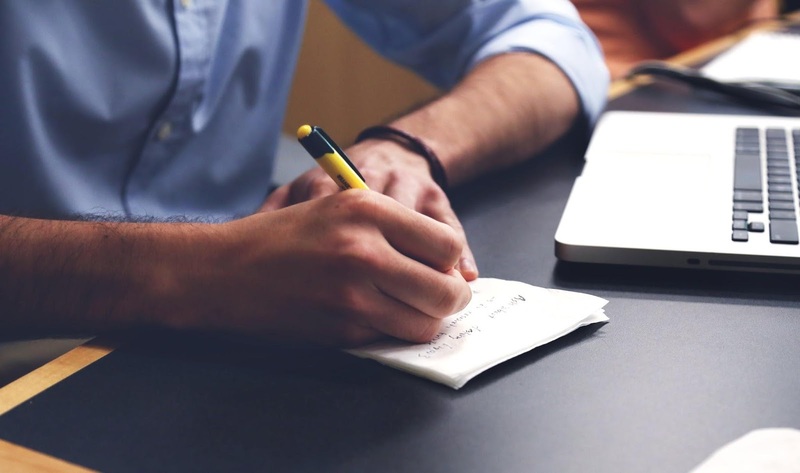 Creating quality content for your readers is essential. If you use low-quality articles on your websites, it is not going to provide any value for the readers. If you offer value to your readers, they will share your articles, and you will get natural backlinks for your articles. But you don’t have to write like Hemingway to produce quality content. 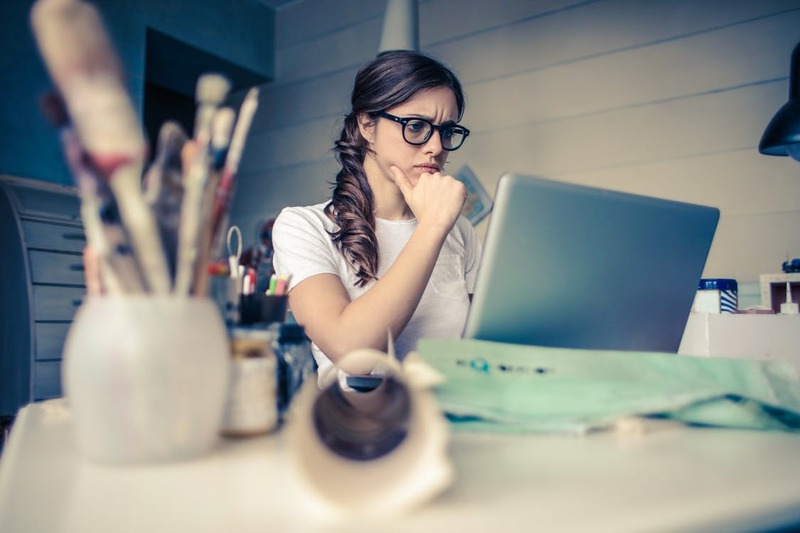 If you use fancy words and write the articles pretentiously, that will make it difficult for your readers to understand what you are trying to convey. On account of that, you should write the articles as simple as you can. The demographics of your visitors would be different, so it is necessary to write articles in a way everyone can understand. You can use Grammarly to make your writing free from errors. 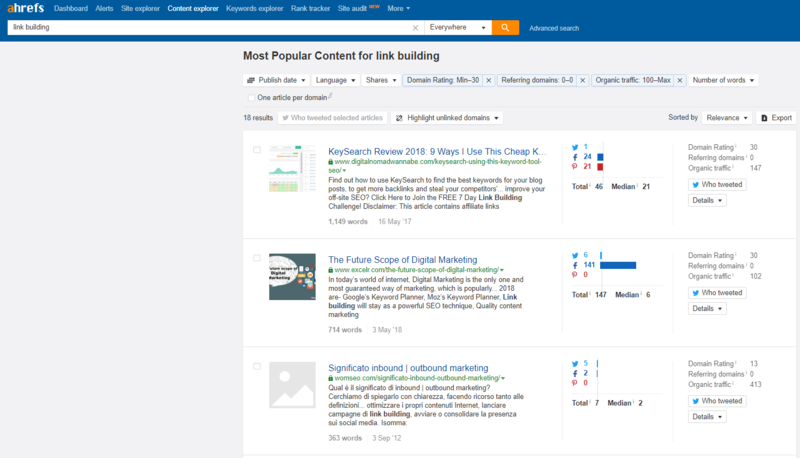 You can find content ideas using Ahrefs Content Explorer. You can discover the most shared content in your niche easily using this tool. Content Explorer also offers the option to find articles that are easy to rank by using its filters. If you are a beginner, you should target low competitive keywords that don’t require many backlinks to rank. On account of that, it is necessary to build quality editorially placed links for our website. The days when you used to get results by spamming the comments and forums are long gone. You need to provide value for the people when you build links. What value can you offer, when you leave a spam comment with the targeted keyword as the anchor text? You should always prefer quality over quantity while building links. A single editorially placed backlink from a quality website is far more valuable than 1000 spam links. These spam links are never going to do any good for your website. Instead, you can create a few quality links in less time than spamming. You need to test the SEO techniques yourself if you follow what others said, you may not be able to emulate the success they received. What worked in their niche may not work in your niche. Here are is the result of a guest post campaign we did in two different niches. In both cases, we reached out the sites that didn’t have a “write for us” page and sites with “write for us” page. We made sure that we did the prospecting properly by targeting only good sites and by sending personalized outreach emails for each website also we ensured that the email was sent to the right person. In the first case, we received backlinks from the sites that didn’t have a “write for us”, but in the second case, we didn’t get any backlinks from this method. The 1st niche was a saturated one, so the websites that have mentioned they accept would be receiving hundreds of guest post requests every day, so they tend to ignore the guest post requests. The 2nd niche was not a saturated one, and there are not many sites that write about this topic frequently, so a quality guest post was win-win for both. Matt Diggity, best known for test-based SEO techniques has performed a test on TF*IDF for SEO recently. The test result shows the effectiveness of TF*IDF for advanced on-page optimization. If you believe you can rank on No.1 only by doing on-page and off-page SEO, then you are wrong. There is an equally important thing called User Intent & User Experience. Let’s say you are running a blog about sewing machines and need to rank for the term “sewing machines” if the 1st page is full of e-commerce websites, that means the users searching buy a sewing machine while searching this term, so trying to for this term with a blog post is a huge mistake. Even if the 1st page is full of blog posts, you need to write your content based on the user intent. You can analyze the top ranking pages to get an idea about what people are searching. You can also use Hotjar to get insights about user behavior, and you can make necessary changes on your website to decrease the bounce rate and make the users stay on your website for a long time. If people are staying on your page than the competitors’ page, it also helps you to rank you higher on Google. Some people send 10 odd outreach emails, and when they didn’t receive any response they give up instead of analyzing what went wrong? Maybe they have sent an email to the wrong person, their emails may not be personalized, or they didn’t follow up. Patience is the key, SEO is not something that brings the results in a matter of days. When people learn the SEO, they are eager to do it and when it didn’t any bring quick results they quit. If you are a person who needs to see the results right away, then SEO is not the thing for you. Some people take shortcuts to get fast results; the shortcuts may deliver some quick results. If you need to achieve long term success, you should do the hard work and be patient. Rome wasn’t built in a day. The people who are now successful had faced so many failures in the past. They didn’t achieve the success in an overnight. It takes time to become an expert. We should learn from our mistakes and try to avoid that mistake. Patience and determination separate the successful and unsuccessful people. If you are not tracking the conversions of your SEO efforts, you are making a big mistake. If you need to scale your business, tracking the conversions is essential. You need to get an idea about which strategy is working for you, and which is not. You can use Google Analytics & Google Tag Manager for tracking the conversions. If you get an idea about the pages leading to conversions, you can re-optimize the pages that are not giving you the conversions and understand why some pages are converting, and some are not. Let’s say you are running PPC campaigns, Facebook Ads, and doing SEO for your website. If you track the conversions, you would be able to know which channel is generating you more conversions, and If you are getting more conversions through organic traffic, you should invest more in SEO and stop spending money on the channels that are getting you results. It will help you to scale your business efficiently. If you don’t keep up on the trends and follow the outdated strategies, you won’t be able to dominate your competitors and succeed in business in the long run. Google is changing its algorithms frequently, and SEO is evolving so making changes to your strategies according to time is essential. Many businesses are losing their traffic overnight when Google makes algorithm updates. This is due to the lack of foresight. You should follow the popular SEO blogs to get information about the latest changes and trends in SEO. You can also join SEO communities to get connected with SEO experts around the world and get insights on SEO. The best way the gain knowledge is by teaching someone, through communities, you can help out the people and you can get the help of others when you need an opinion on something. “In 2019 you should pay close attention to the diversity of SERP – featured snippets, knowledge graphs and ongoing Google experiments with SERP. “Google has increasingly been displaying “People Also Ask” sections in SERPs, which caters more towards users who are seeking information. 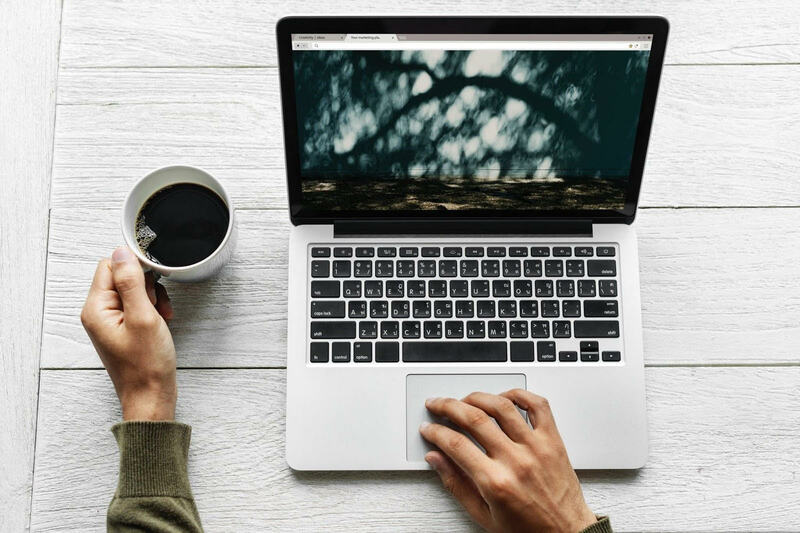 To drive these types of users to your site, write FAQ-style content in the form of blog posts or landing pages that answers questions about your product, your service, and your industry.” – Audrey Strasenburgh, SEO Strategist at LogoMix, Inc. The power of search traffic has been increasing over the years. If you are a marketer, blogger, or a business owner, SEO is indeed a skill that you should learn. If you leverage the effectiveness of the search traffic, you would be able to take your business or blog to the next level. Search traffic has always been an evergreen channel to acquire quality prospects for your business. You can drive more targeted audience to your website with intent if you can rank your site for keywords related to your business, so the amount of conversion you get would be higher than you get from any other advertising channel. In 2019, SEO is not as easy as it used to be. Google has been making algorithm updates frequently to get the best possible results for their users. Still, If you do it right, there is no better alternative to grow your business and take it to the next level. 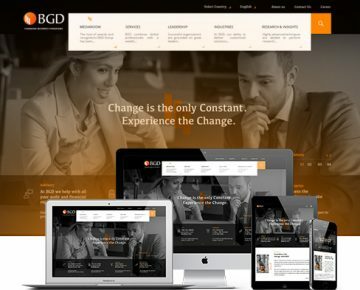 Webandcrafts is a reputed Web Designing Company in India aiming at creating the best front face for the websites in a blend with the finest technologies. We also offer result-driven Digital Marketing campaigns and SEO services with a well-planned storyline.